The have impressive investment credentials (backed by Kleiner Perkins’ legendary VC John Doerr) and they have impressive green credentials (Al Gore) and they have an idea called ‘Organisational Metabolism’. It’s all made much clearer in this video (it’s an excellent video in terms of content, but the sound and image quality are less than ideal: don’t worry though, the video below it is more recent and much more professionally produced, but personally I think the first video is actually better). Hara, the company dedicated to helping organizations grow and profit without depleting the earth’s resources, today unveiled HaraTM Environmental and Energy Management (Hara EEM), a comprehensive software as a service solution which enables organizations to holistically monitor and manage their natural resource consumption and environmental impact. Hara EEM gives customers auditable transparency and control over their organizational metabolism (OM) – the collective resources consumed and expended by an organization – including energy, fossil fuels, water, waste, carbon, and other resources. Funded in 2008 by Kleiner Perkins Caufield & Byers, Hara is enabling customers to identify millions of dollars in savings from energy, water and waste abatement strategies. “Effective environmental management requires good insight, good analysis and good data,” said Bryan Jacob, Director of Energy Management and Climate Protection for The Coca-Cola Company. Companies with a commitment to sustainability have outperformed their peers by 10 to 15 percent*. A perfect storm of business imperatives – environmental, economic, and regulatory – is requiring private and public sector organizations to act now. To date, while the imperatives are clear, most organizations have been without a transparent and auditable way to address these challenges. Hara provides a comprehensive solution to manage the environmental record, and prioritize and track reduction and cost savings initiatives that are both achievable and auditable under current or future regulations. “Energy efficiency has never been more critical to corporate performance – directly in terms of bottom line costs but also indirectly in terms of related emissions from non-green energy sources,” said Dr. Stephen Stokes, Vice President of Sustainability and Green Technologies at AMR Research. Hara EEM is a highly-configurable, software as a service (SaaS) application that quickly adapts to customer needs. •Discover – Aggregate environmental record information from relevant data sources in order to provide a comprehensive view of resource consumption, greenhouse gas emissions, and environmental impact. •Plan – Define strategies, optimize planning decisions, forecast reductions, identify objectives and metrics, and calculate timing and benefits for each initiative. •Act – Manage the execution of environmental and energy programs, track results per initiative, and create an audit trail for any current or future regulatory requirements. •Innovate – Implement the Hara methodology and leverage best practices for continuous improvements and business transformation. “Our vision is to enable a post-carbon economy in which organizations can grow and profit without depleting the earth’s resources,” said Amit Chatterjee, CEO and co-founder of Hara. 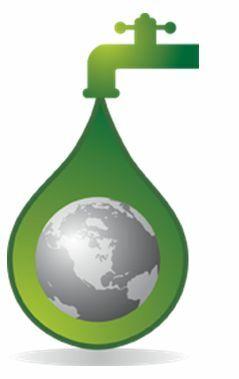 Hara helps organizations grow and profit while optimizing natural resource consumption and reducing environmental impact. Hara gives customers auditable transparency and control of their organizational metabolism – the collective resources consumed and expended by an organization – including energy, water, waste, carbon and other resources. Hara was funded in 2008 by Kleiner Perkins Caufield & Byers. Its leadership and advisory teams have a strong track record of environmental and enterprise software expertise and hail from companies including Oracle, SAP, TIBCO, and McKinsey and institutions including Carnegie Mellon University, Harvard University, Stanford University, and the University of California, Berkeley. Hara is based in Menlo Park, CA. For more information, please visit www.hara.com.